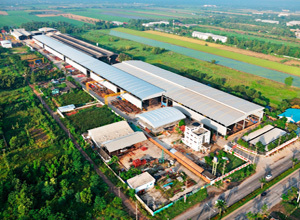 Since 1997, VIPCO had continuously expanded its main workshop (VIPCO 2) until the total area is now more than 128,000 sq.m. With more than 48,000 sq.m. 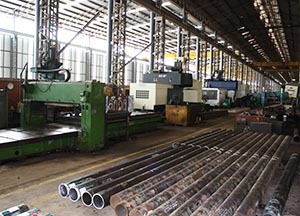 under roof area and fully equipments necessary for heavy fabrication work, this main workshop can produce more than 1,800 MT per month of fabricated steel. During the past ten years, more than 70% of the fabricated steel work produced from this main workshop was destined to fill export orders. These included power generation, petrochemical and refinery industry, such as components of power boilers, fire heaters, coal mills, coal handling system, pipe spools, tanks & vessels and structural steel works. 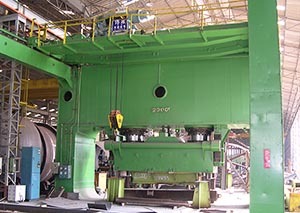 The combined capacity of all VIPCO workshops can reach 3,000 MT per month. Apart from being the main workshop producing most of heavy fabricated steel components, VIPCO 2 is also the main office of key personnel and engineering team taking care business of the company including construction businesses.